The West Indies former fast bowler Michael Holding had slammed Hardik Pandya's 'all-rounder' ability and Jasprit Bumrah pace with the new ball ahead of the Trent Bridge Test match in Nottingham. After his comment on the Hardik Pandya he justify about his controversial statement. He clarified that he never doubted Pandya’s all-round skills. He had also said that Pandya was “nowhere near” Kapil Dev. 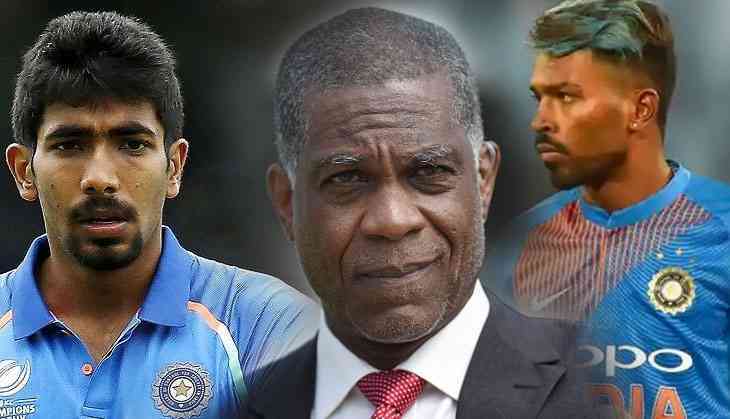 Former cricketer Michael Holding had criticised India's all-rounder Hardik Pandya and Indian pacer Jasprit Bumrah before the match. But the Holding's statement backfired as Pandya and Jasprit Bumrah impressed in his very next outing. However, the Indian duo being the heroes of India's thumping victory. While all-rounder Hardik Pandya produced a fiery spell of 5/28 in the first innings and then scored a quick-fire half-century. On the other hand Jasprit Bumrah five wickets in the second innings to help India come back in the series. "Kohli isn't a great batsman since he failed in England"
"Pandya isn't an all rounder"
"Bumrah isn't a new ball bowler"
"Sachin and Dhoni are overrated"
"Ashwin cannot take wickets outside India"
This Is What Michael Holding Had To Say At The Beginning Of 2018. "I Would Not Play Bumrah In England."